If you’re in the market for a new vehicle for a while and have started looking at Chevy trucks, you’ve probably been surprised by how many options there are for you to consider. Trim packages, cab sizes—some Chevy trucks even have different engines and transmissions to choose from. Before you can begin to narrow down your options and start negotiating on a payment, you need to make a decision on each of these factors. Here’s what you need to know before you choose a bed length for your Chevy. To choose the right bed length for you, first, you need to know the names of each bed size and exactly what each choice means. Here’s a breakdown of the bed length types and their basic dimensions. (Exact measurements will vary somewhat.) Dimensions are given for the interior of the open rectangular space behind the truck cab, which is often used to carry cargo. Length is measured from the inside of the front wall to the inside of the tailgate. You’ll find that Chevy trucks and Toyotas use the “short,” “standard,” and “long” nomenclature. On the other hand, Ford, Dodge, and Nissan refer to their truck bed options by length, with numerical figures. However the brand you’re considering explains the truck bed options, here are the lengths of each truck bed type. Note that although the above definition of standard/standard short bed is generally accepted, some manufacturers of four-door trucks use the types below instead. You’ll occasionally hear the 5.5-foot extra- or super-short bed called the short bed, and the 6.5-foot bed referred to as the long bed with a four-door. With compact four-door pickups, you’ll run across beds less than five feet long that are called short or super-short. If you’re purchasing a four-door truck, be sure to ask for specific measurements. In addition to the nomenclature for bed length, you should also be familiar with the difference between standard and stepside beds. This standard designation is not to be confused with the standard in length. The standard versus stepside style has to do with the location of the fender wells in the truck bed. The standard houses the wheels inside the bed itself, while the stepside fender wells sit outside the bed and protrude from the body of the truck. You’ll see the standard style also called style side or fleetside, while the stepside is sometimes called flareside or sportside. 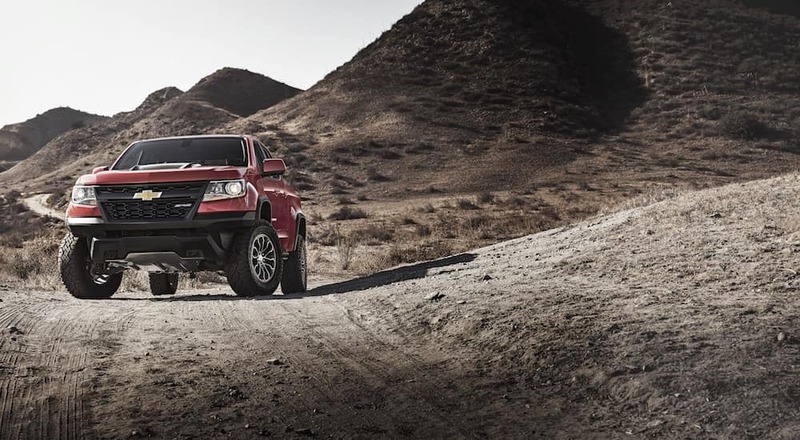 The standard style trades some of its space in the truck bed for the smooth, aerodynamic look of the truck body. Note that the aerodynamics of the standard style means you’ll experience less wind noise at highway speeds. Choose the stepside style if you prefer easy access to reach toolboxes or move objects. You’ll be able to take advantage of the step that’s created between the fender well and the cab to more easily access the back of the truck bed (the part near the cab). … the cargo space and payload isn’t a big part of the reason you want to drive a truck. Pickups with an extra- or super-short bed are often modeled after sport utility vehicles, so you’ll see integrated assemblies or beds that are attached behind the truck cab. One example is the Chevrolet Avalanche. … you won’t be using your truck for work or in other supply-towing capacities. Most pickup drivers get all the cargo room they need for everyday use with a standard bed, and keeping the bed short means, you’re not sacrificing handling and ease of driving or parking. Unless there’s a reason, you’ll need the extended bed, stick to the short or standard options. … you’ll be using your truck for work and won’t need the space for, say, a full sheet of drywall. Standard and compact long beds are most popular on real workhorses, such as farm trucks or commercial work trucks. The long bed gives you the room for building materials or other bulky cargo, and as long as the truck is powerful enough, you’ll have sufficient towing capacity for your supplies. … you know you’ll be transporting uncut sheets of drywall, plywood, or other supplies that are manufactured in four-foot-by-eight-foot dimensions (these commonly include construction materials). If you’ll be looking to haul a camper, a full-size long bed is also the option for you. Make sure to account for the towing capacity you’ll need when you’re making other customization selections for your vehicle. Don’t forget that your bed size also affects your payload capacity. The more room in the truck bed, the more weight the truck will be able to haul. If you know you’ll need extra room in the truck bed or payload capability occasionally, but it’s not something you’ll use on a regular basis, you may consider using bed extenders. Most models will fold up for easy stowing when they’re not in use, and many can be used as a cargo gate as well. Often, a manufacturer only offers certain bed sizes to be matched with certain cab sizes. In many cases, you’ll trade space in the truck bed for space in an extended cab. If you do find a spacious cab with a long bed, you’re also getting a longer wheelbase and a truck that’ll be more tricky to handle and park. If you’re still undecided, there’s really only one way to find out which bed length will work for you: Give the options you’re considering a test run. There are several ways to take the bed sizes you have it narrowed down to out for a spin. Does a friend own a truck with a bed size you’re considering? See whether they’ll loan you the keys for a day so you can try it out. If you’re already working with a salesperson from a dealership like ours, your representative should be happy to arrange for test drives to help you make your choice. Or if you’re not ready to bring a dealership into the equation, you may consider renting a few different trucks and testing them in the field with activities that replicate how you’ll eventually be putting your new truck to work. Keep notes on what you like and dislike about each one. Or, for a hands-off approach, you may simply read reviews and look for testimonials from people with needs similar to your own. There’s no wrong way to make your choice, now that you’re informed about the different bed styles and lengths on the market.